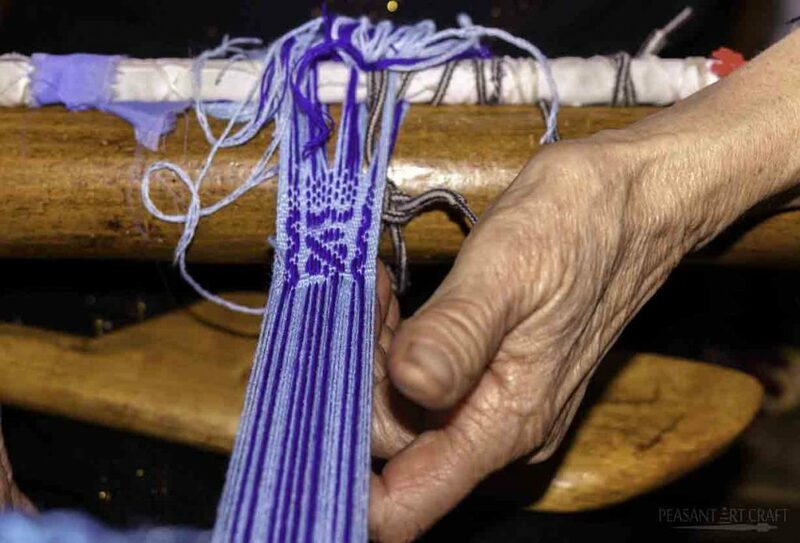 Maria Puzdreac is one of only a few weavers in her village who do lace weaving. She’s not leaving the house too often because of a walking problem. She spends most of the time weaving. Having a sit down occupation which she enjoys is a blessing, she says. She has been loom weaving since she was a child. We found her weaving cotton towels with 5 heddles, adorned with beautiful silk and metallic stripes. It takes her one day to complete a small towel and two days for a long one. Even though the traditional colors and patterns of her village are very different than the one she’s working on, Maria loves to try new patterns, like any other passionate weaver. The traditional colors of Straja village from North Romania are white, black and brown. The costumes, traditional textiles and even the houses in sober combination of black and white betray seriousness, which is the true nature of the people from Straja. However, sometimes, they can’t resist the temptation of trying something new. Among the many weavings, there were these towels of great value. In Bucovina, they are used at weddings, as a gift to the godparents. In Bucovina, a couple chooses up to ten godparents. Giving each one of them a towel is a way to honor the godfathers. The great father receives two towels, as a sign of respect. Godfathers are given towels, while godmothers receive babushka scarves. With a needle, Maria explains the lace weaving process. The towels are neat and beautiful. 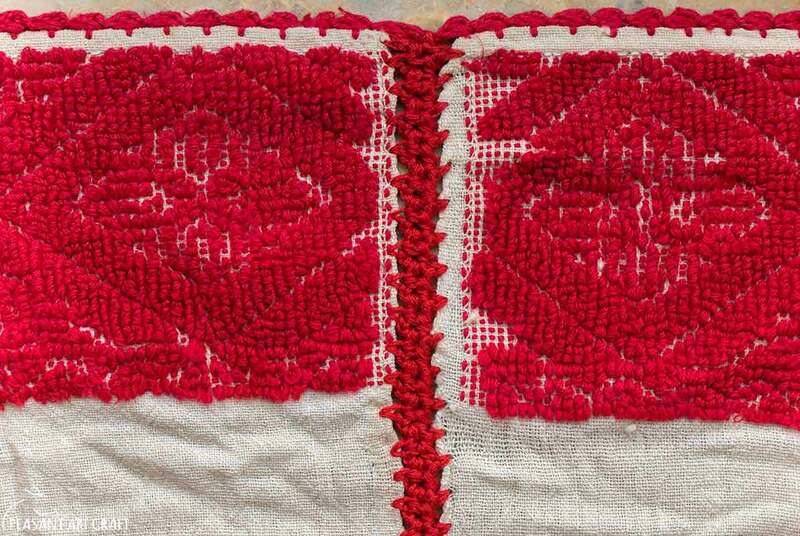 It seems a lot of hard work and effort were put into the making of such towels, from setting up a loom for weaving to painstakingly working the pattern with a weaving tool as small as a needle. No wonder they are used as wedding presents.